It's been a while since Arsenal were in the Europa League. Seventeen years to be precise. In their last appearance in 1999/2000, at the turn of the millennium, back when the competition was still called the UEFA Cup, the North Londoners lost to Galatasaray in the final on penalty shootouts. Arsene Wenger was only four years old at the club then and had already won a league and FA Cup double. In the years that followed, Wenger and Arsenal went on to do wonderful things and never had to see the face of the lesser European cousin. Arsenal managed to qualify for the Champions League consistently, even through their decade of austerity. Until now. Most saw it as a disaster when Arsenal finished fifth in the Premier League last season. A final knell that would and should ring the end of the Wenger era at Arsenal. It didn't. It is a different debate whether Arsenal would be better off without Wenger, one that needs a slightly more nuanced and careful consideration than holding a banner that says 'Wenger Out' in your graduation photographs. But a simpler question to answer is whether Arsenal are better off without the Champions League? In the past few years, the Champions League has narrowed down. A more closed up affair, it has become a line-up of the usual suspects. Real Madrid have now won it three times in four years. Premier League, on the other hand, is more competitive, more open than ever. Hierarchies changed hands, clubs rose and fell and then rose again, and the famed top four died at its own alter to birth the top six. All of them want to be in the Champions League. The competition is a barometer of success for every top club. But if you are just along for the ride, if you are not the crème de la crème, it soon becomes a barometer for failure. Just like it did for Arsenal. Do seven consecutive Round of 16 exits sound like success? Arsenal now find themselves playing on a Thursday night. They are not used to it. But two good wins in their first two groups stage games suggest that they have taken a liking to it. The Europa League might turn out to be just what they needed. Last night, Arsenal saw off BATE Borisov with considerable ease and consummate flair. A 4-2 win which, despite the itch of two goals conceded, gives Wenger and Arsenal much to be happy about. 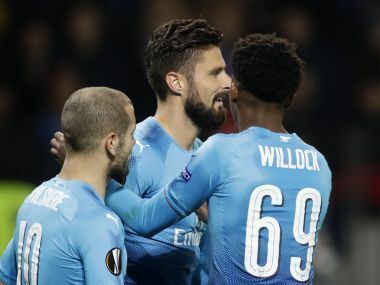 Wenger presented a heavily-rotated side in face of a lesser opponent, with academy products Ainsley Maitland-Niles (20), Reiss Nelson (17) and Joe Willock (18), who was handed his first start for the Gunners, getting a chance to start in a European cup. To travel across the continent and play against a team who are champions in their country and have played in the Champions League, is invaluable experience for young players. All three of them impressed, Nelson most of all. He is not considered one of the better Arsenal academy products for nothing. He has pace, tricks and awareness of those around him on the field and he showed that against BATE on Thursday night. It is difficult to say if all three youngsters would've started the game had it been a Champions League game. Probably not. Another academy product who started and impressed immensely was Jack Wilshere, only his second start this summer. Wilshere, now 25, was a phenomenon as an upcoming youngster at Arsenal. He was technically gifted, intelligent and versatile and was supposed to take England by storm before a slew of injuries derailed his career as it was about to take off. But Wenger and Arsenal have stood by him. Wilshere was easily Arsenal's best player on the field, at least for the first 45 minutes, last night. He floated around, exchanged quick and short passes around the 18-yard-box and set up Arsenal's first goal. "He had an outstanding first half and he fought until the end. I think he is on a good way back to his best and he showed that tonight," Wenger said after the game. "He has shown again tonight he has not lost his quality." To play 90 minutes of consistently good and intense football remains Wilshere's biggest fight, but his performance comes as a huge positive for Arsenal, who have been often found wanting in the central midfield area. 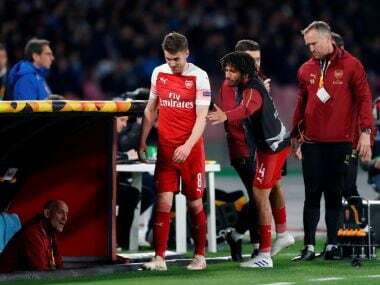 The 4-2 win, coupled with the 3-1 victory over FC Köln, besides being positive and uplifting for the players and the club, also shine a light on an alternate path, one that Arsenal didn't need to walk for long. Like Manchester United last season, Arsenal, one of the strongest sides in the competition, could go on and win the Europa League. If they did, they would achieve a lot more than just booking a berth for the Champions League next year. Sure, Arsenal have won three FA Cups in the last four years, but a European cup is different. It yanks you out of your domestic comfort zone and makes you walk on a long, winding road across Europe. Many would be quick to dismiss Europa League as a lesser competition with weaker teams. That it is not really becoming of a big team to ply their trade there. 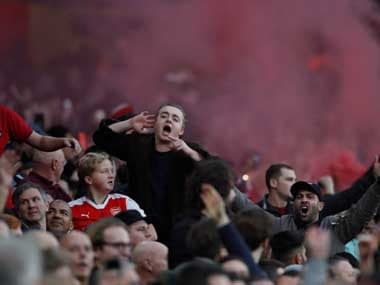 But for a top team like Arsenal, which has struggled at home and in Europe for a while now, just like Manchester United did, a European Cup in their cabinet could do wonders. Winning the Europa League seems deceptively simple. But ask Jose Mourinho and he'll tell you how difficult it was to grind out the results, one by one, last season. If winning against the week side feels futile, then beating a good one far away from home feels just as fruitful. 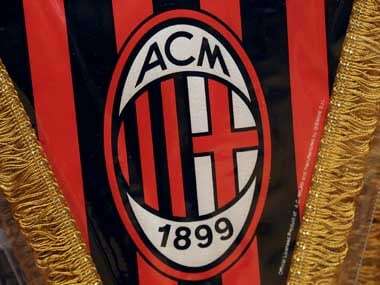 The Europa League already features a resurgent AC Milan, Lyon (who'll be hoping to reach the final at their home stadium), Villareal and Everton, besides other decent teams who could give a good fight any given day. And this excludes the sides who will join in after finishing third in the Champions League group stages. Make no mistake it will be a stern test for Arsenal, but a test they must look to pass with flying colours. Finishing in the top four in the Premier League is getting difficult by the day. It is not that Arsenal cannot do it, it's just that it is no longer a given, as it had been for them for long. Arsenal finished in the top four for 12 consecutive seasons since they won the league in 2003-04, until they fell out last time around. Europa League does serve as an alternate route to reach its bigger, flashier cousin, but it serves way more than just that. 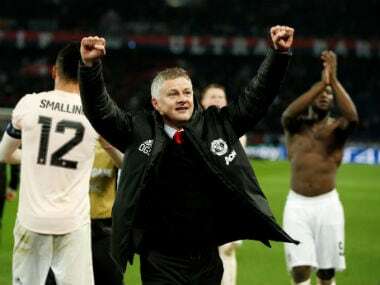 It's value, besides guaranteeing qualification for the Champions League irrespective of your domestic league finish, is evident in Mourinho's United this season. It has instilled belief in a side with a glorious history but an inglorious recent past. They did add quality over the summer and are a better team than last season, but Mourinho knows that winning a cup brings something far more important than a medal. It brings hunger. And Arsenal need to be more hungry.